CLICK to enlarge, print & share this flyer. 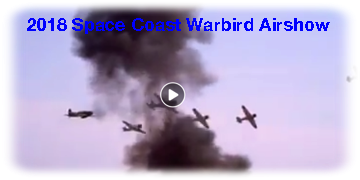 The Valiant Air Command, Inc. is pleased to announce the roar of vintage warbirds will once again be returning to the skies over the Space Coast fr our 42nd annual Space Coast Warbird Airshow! We are currently planning on having some incredibly rare vintage warbirds and world class airshow performers in attendance. March 15-17th at Space Coast Regional Airport in Titusville FL. Looking for an excellent holiday gift for your family? For a limited time (until Dec 25th) Pre-Show Tickets for our 2019 Space Coast are available for a substantially reduced price. Get your tickets today at: https://www.valiantaircommand.com/2019-airshow-tickets. Reserve your spot at Florida's finest warbird aviation event! Fresh on the heels of an exciting and successful 2018 Space Coast Warbird Airshow, Valiant Air Command's Airshow Director Bob Boswell has announced the date and the headline performers for next year's event. 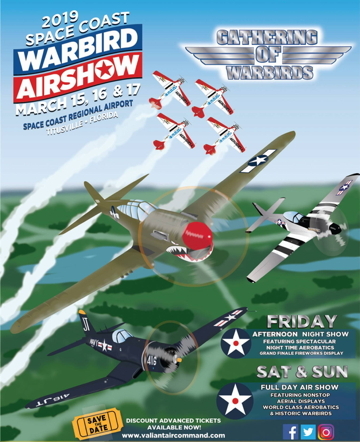 The 42nd annual Warbird Airshow will be held March 15, 16 and 17, 2019 at the Space Coast Regional Airport. The exciting and popular Friday evening show will again be presented, with illuminated and pyrotechnic equipped airplanes and a massive fireworks display. We strive to provide a valuable event for the community that is a family-friendly show with military static displays and aerial demonstrations. Headlining the show, and especially anticipated for Friday's evening events, will be the storied AeroShell Acrobatic Team. 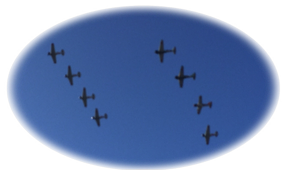 Flying WWII vintage T-6/SNJ aircraft, these masters of precision flying will certainly bring the crowd to their feet. Many other exciting flying acts, and literally dozens of other aircraft ranging from 80 year old fabric biplanes to the most modern warplanes, will appear at the show. We have a special show planned for Friday with an evening event. Gates open at noon on Friday and 8:30 on Saturday and Sunday to give you a chance visit our many world class warbird aircraft, along with numerous display booths, exhibits, and food concessions. Performing aircraft will begin late in the afternoon followed by a twilight performance and a night show. After the night airshow portion there will be a blockbuster fireworks display. Detailed planning for the show has begun. The 42nd Space Coast Warbird Airshow will be a new and impressive event; however, the crowd-friendly aspects of free parking and unrestricted access to over 45 historic military aircraft will continue to guide the planning. The Valiant Air Command will continue to keep you informed as our show takes shape. The Valiant Air Command and the 2018 Space Coast Warbird Airshow wish to thank the many people who contributed to an exciting and rewarding Airshow experience. Our performers and static display personnel were professional and highly motivated. The results were evident all through the weekend. Our generous private and public sponsors ensured that "the show could go on," and were a wonderful part of the event itself. Our volunteers, both individual and organizational, were the key to managing the hundreds of myriad details that arise in a large undertaking. Our governmental partners and first responders kept safety and health in everyone's sights, and were always there when needed. And our media partners, locally based and those from all over the world, "got the word out" and created valuable documentation for future media outreach uses. The overwhelmingly positive feedback we received this year is a tribute to every one of the hundreds of people involved, and tremendous motivation for us to try even harder for next year's show. The 2018 Space Coast Warbird Airshow will be held at the Space Coast Regional Airport, Friday April 6 through Sunday April 8. Friday will bring the show's acclaimed afternoon and evening performance, concluded with a massive fireworks display, while the show keeps its traditional daytime schedule on Saturday and Sunday. This year's show, which is beginning its fifth decade of excitement and entertainment for Space Coast residents and visitors, will commemorate America's valiant Pacific Theater military aviators and their magnificent airplanes. The show's headliner, the Tora Tora Tora reenactment team, will bring their nine replica Japanese warplanes for their legendary Pearl Harbor attack recreation. Other World War II aircraft expected for the show include the P-51 Mustang and F4U Corsair fighters, the B-25 Mitchell medium bomber, and, just confirmed, the most evocative of all American warbirds, the Boeing B-17 Flying Fortress, in fact, the exact B-17 that portrayed the legendary "Memphis Belle" in the 1990 movie! Rides on this classic airplane will be available for purchase. Lovers of more modern aircraft won't be disappointed, as the US Air Force's Viper East F-16 demonstration shows off the maneuverability and capability of the mighty Fighting Falcon. 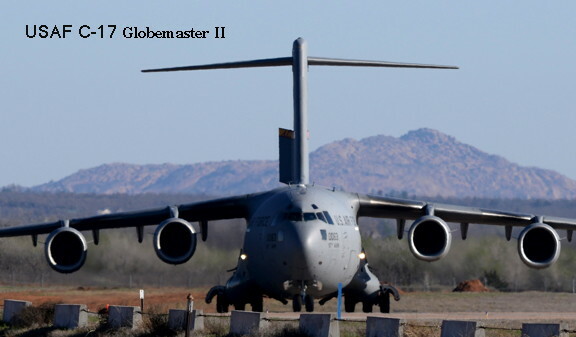 Visitors can see and tour over fifty vintage and current airplanes, including for the first time the Air Force's massive and capable C-17 Globemaster II. Reenactors will demonstrate vintage military equipment while a carnival awaits kids of all ages. 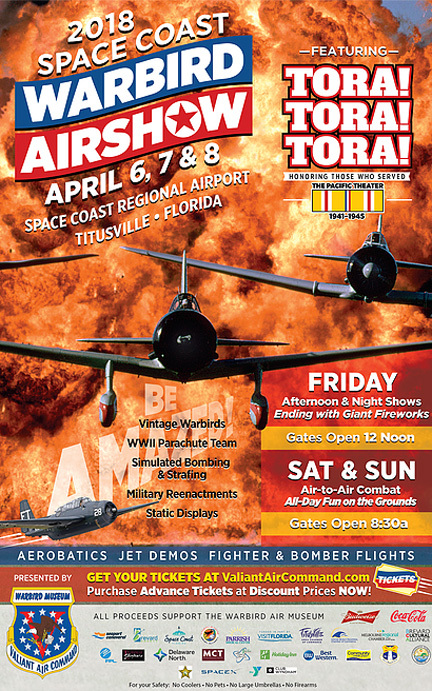 Advance discount tickets are on sale at the Valiant Air Command website, at local Regions' Bank locations, at the Titusville, Cocoa Beach and Melbourne Chamber of Commerce offices, and at the Patrick AFB ticket office, and of course at the Warbird Museum, at 6600 Tico Road, on the Space Coast Regional Airport in Titusville. For further information call (321) 268-1941 or e mail the Valiant Air Command at Warbirds@valiantaircommand.com. Discount Airshow Tickets Now Available Locally!!! FRIDAY: Afternoon & Night Shows ending with giant Fireworks. In addition to VAC's collection of 40+ warbirds, pilots and warbird collectors come from far and wide to show off their aircraft at the TICO Warbird AirShow. We need volunteers! People who are interested in volunteering for 2018 Airshow. Point of contact is Bob Boswell, Air Show Director. Meetings are held in the Warbird Air Museum Library.